With snowboarding success increasing in recent years, many riders have emerged to make an impact on the sport. From creating a business that started it all to breaking records and taking on Mother Nature’s risky terrain, these are the boarders who are showing up and taking names. 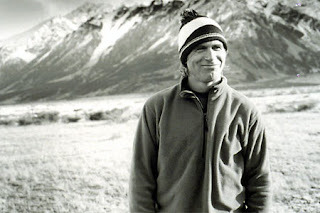 to start a list of famous snowboarders without the man who started it all: Jake Burton Carpenter. Born April 29, 1954, Burton is known for his creation of Burton Snowboards in 1977. However, before his legacy, Burton was riding around on the equivalent to a snowboard called the “snurfer.” The snurfer consisted of a 6” 15 cm wide board with no bindings or edges. After college is when Burton decided that he wanted to design and create snowboards, starting Burton Snowboards. Branching out to Austria and Japan gave Burton Snowboards the push it needed to be successful. Success continued at the 2002 Winter Olympics where three Burton riders placed: Kelly Clark and Ross Powers with gold, and Chris Klung who won the bronze. Today, Burton Snowboards is the snowboarding brand out there and sponsors numerous successful pro-snowboarders. Shaun White – Also known as The Flying Tomato, White is an icon for today’s snowboarding generation. He was born September 3, 1986 and began snowboarding at the age of six. Soon after, White signed with Burton snowboards. He is one of the best snowboarders in Winter X Games history winning the most gold (12) and overall (17) medals. Consistently breaking records, his latest was at the Winter X Games in Aspen, where White scored a perfect 100 with his back-to-back double cork 1260s in the SuperPipe 5-peat. Not only is he a pro-snowboarder, Shaun White is an active pro-skateboarder. Louie Vito – Born March 20, 1988, Louie Vito was part of the lucky few who could attend school and snowboard everyday while he studied at Stratton Mountain School. At the age of 17, Vito made a name for himself for being the first rider to complete a complex move at an Australian competition with his backslide 1080 at the Australian Open. Vito has placed in most, if not all, of his competitions during his pro-career and is presently the reigning Winter Dew Tour Overall Champion. When he isn’t winning medals, Vito gives back with his philanthropy, “Louie Vito Rail Jam,” which provides children with mentoring, competing without a fee, and outfits from his best snowboarding gear. Travis Rice – Considered snowboarding’s best overall rider in the world by numerous sportswriters, Rice is a triple threat to his competitors. Born October 9, 1982, Rice went pro at the age of 18 when he entered Snowboarder Magazine’s “Superpark” without a sponsor. He shocked the audience and fellow snowboarders with his backside rodeo off a 110 ft gap jump. Not only winning titles in big air at competitions, Rice is known for his tricks and slopestyle. Rice not only competes, but also has a huge influence and stars in movies such as Redbull and Quicksilver’s That’s It, That’s All and The Art of Flight. 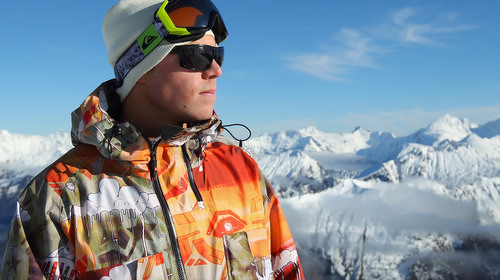 John Jackson – Born October 13, 1983, John Jackson is one of the best backcountry snowboarders out there. He has won multiple Rider of the Year awards from Transworld and has recently joined the Burton Snowboards team. Jackson is known mainly for his many video parts that catch him shredding down mountaintops and dangerous terrain most people avoid. Like Rice, Jackson is also part of the films That’s It, That’s All and The Art of Flight. Pat Moore – Joining the backwoods riding club is Pat Moore. Born November 15, 1986, Moore is also an avid backcountry and park rider facing the dangerous slopes as if they are riding the bunny hill. Joining Jackson and Rice, Moore also showed his skills in the films That’s It, That’s All and The Art of Flight. 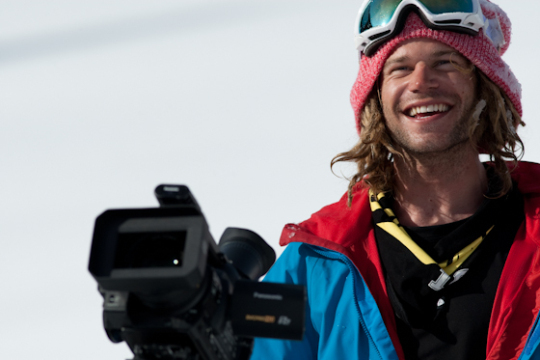 In addition, he was part of the eight riders that shot videos for the Winter X-Games Real Snow competition. Scotty Lago – Born November 2, 1987 Scotty Lago earned notoriety in the 2010 Winter Olympics when he won the bronze medal along side of teammate Shaun White in the men’s snowboard halfpipe. Not only excelling in the halfpipe, Lago is known for his skills in slopestyle and backcountry as well. 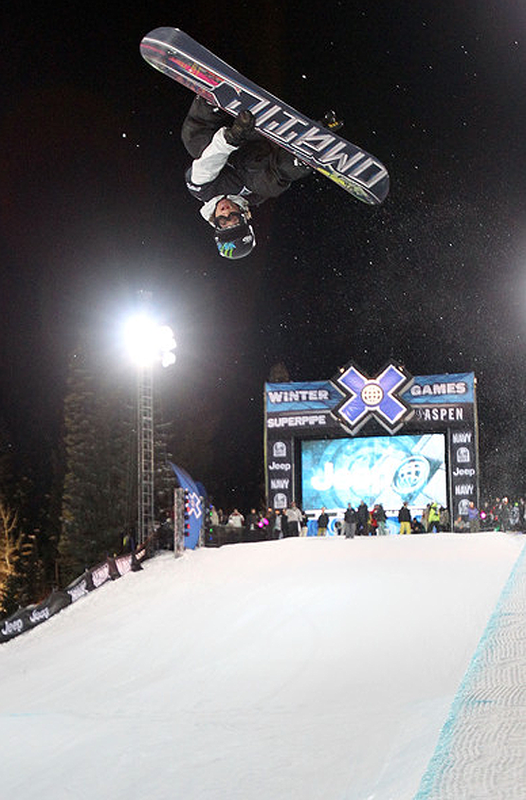 Even though he was suffering from a broken jaw due to an accident while filming a backcountry run, Lago still competed in the 2011 Winter X Games and not only had a spectacular run on the SuperPipe but also won gold for Best Method. Gretchen Bleiler – Born April 10, 1981, Gretchen Bleiler grew up in Aspen, Colorado where she fueled her love of snowboarding which eventually got her to the 2006 Olympics in Italy where she placed second, as well as the 2010 Olympics in Canada. She also took first place in the 2010 Winter X Games. An activist for the Women’s Sports Foundation, Bleiler created, along with Aspen/Snowmass, “Snow Angels Invitational,” an all-girl’s halfpipe competition and photo shoot. 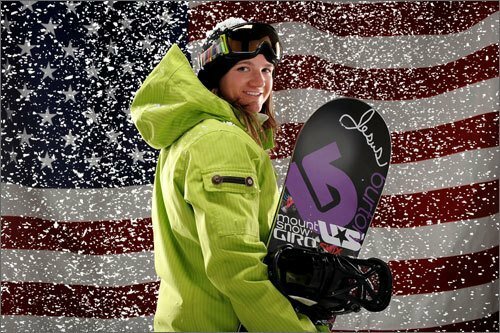 Kelly Clark – Making a name for herself in women’s snowboarding, Kelly Clark, born July 26, 1983, was the youngest member of the U.S. Olympic team when she won the gold medal for her Halfpipe run at the 2002 Winter Olympics. Paving the way for women snowboard riders, Clark’s perseverance helped her place again in the 2010 Winter Olympics with the bronze. 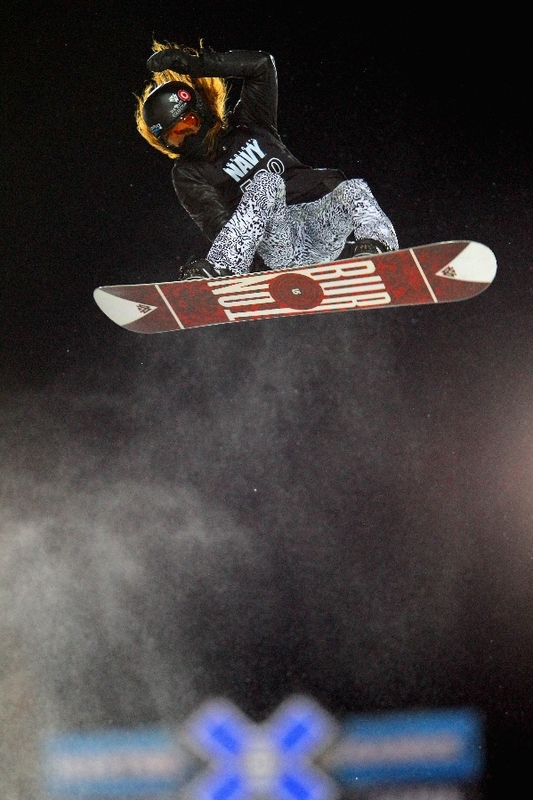 Continuing her ride, in 2011 Clark was the first woman to land a 1080 on the halfpipe. 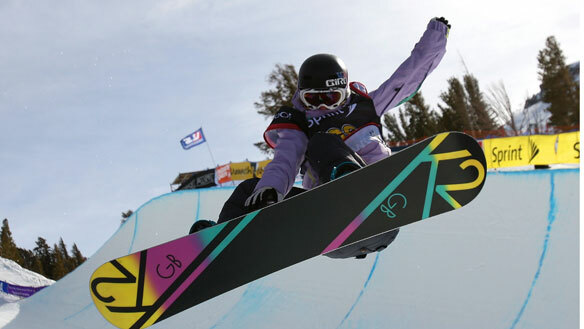 Her efforts continued in 2012 with winning gold in the women’s halfpipe at both the Winter X Games in Aspen, Colorado and the European X Games.